● Supreme Court VICTORY resulting in approx. 125 cases Dismissed! Since the days of Prohibition, alcohol has been treated unlike any other product bought or sold in the U.S. Cumbersome state bureaucracies with complicated rules, powerful law-enforcement, and aggressive prosecutorial agencies exist solely to ensure that the production, distribution, sale, and consumption of alcohol happens precisely on the government’s terms and under their thumb. Local governments also often target alcohol producers or retailers for especially onerous regulations. If you are threatened with a suspension or revocation of your license, or are applying for a new license but faced with a protest against its issuance, be sure to consult with Solomon, Saltsman, and Jamieson. We are experienced in defending cases brought by the ABC or OLCC; a highly specialized area of law. 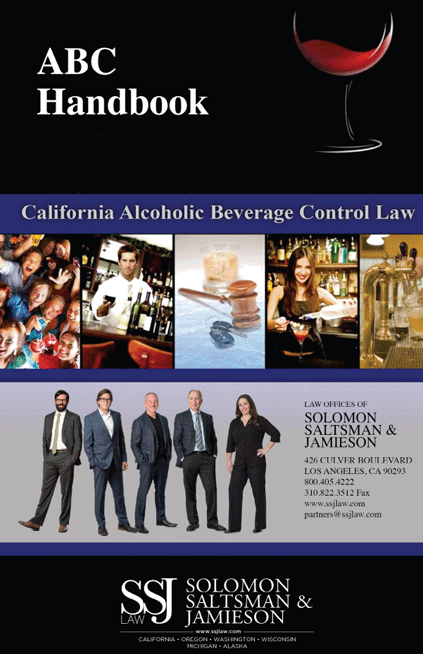 We at Solomon, Saltsman, and Jamieson are dedicated to serving and advising individuals and businesses involved in every aspect of the alcoholic beverage industry. From local permits and ordinances to licensure and disciplinary proceedings before the California Department of Alcoholic Beverage Control (ABC) and Oregon Liquor Control Commission (OLCC), we stand ready and willing to be your fiercest advocates. Our years of experience navigating state and local regulations means that we can provide detailed advice, explain the rights and responsibilities of licensees, and answer tricky questions rapidly and accurately on everything from licensure to labeling, drinking to distribution, and gifts to wine-growing. Our extensive contacts within the industry and with former regulatory officials ensure that our firm is always up to date on new developments in the law. We’ve even written handbooks for businesses that sell alcoholic beverages in California and Oregon, providing a clear and comprehensive summary of each state’s alcohol laws and an overview of the disciplinary process. 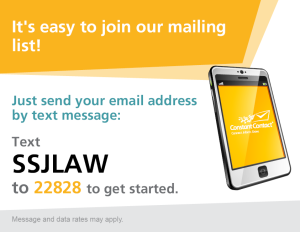 At Solomon, Saltsman, & Jamieson we help new participants in the industry decide what type of license granted by the ABC or OLCC is right for them. We help clients assemble the correct application materials, advocate and negotiate with local governments and law enforcement to ensure that the appropriate local approvals and permits are in hand, and we leverage our hard-earned reputation for thoroughness and excellence with state regulators to ensure that our clients obtain their licenses. For clients who already have a license, the firm assists with requests to modify the license, change of ownership issues, and the removal of restrictive conditions. Our expertise in local government and land-use law also helps us defend licensees from illegal attempts by local governments to strip away vested rights. Solomon, Saltsman, & Jamieson also helps operating licensees defend their license after an accusation has been filed. Violations of state liquor law, such as selling to a minor or accepting a consignment, can result in civil monetary penalties, suspension of a business’ liquor license, or even revocation. We have represented clients in thousands of hearings before state Administrative Law Judges and Appeals Boards and are dedicated to ensuring that our clients get the best and most thorough defense possible. We pride ourselves on defending clients not just against factual accusations, but we will also safeguard your constitutional and statutory rights to due process and unbiased adjudication. We have taken these cases all the way to the California Supreme Court, and have won several path-breaking cases exposing and stopping unfair ABC practices such as secret communication between departmental prosecutors and judges, and failure to obey the Department’s own guidelines regarding underage decoys . One of the most confusing aspects of alcohol regulation are the so-called “tied-house” laws which seek to ensure separation between alcohol producers, retailers, and wholesalers (middlemen who purchase alcohol from producers and sell to retailers). These laws also regulate the marketing and promotion of alcoholic beverages, including sales, tastings, gifts, cross-promotions, sponsorships, and sweepstakes. These rules are very complicated, and over the years have been only become more so by the addition of many statutory exceptions and carve-outs. At Solomon, Saltsman, & Jamieson we have years of experience analyzing and applying tied-house laws. The firm is highly skilled and experienced at advising clients on how to stay in compliance with the law while simultaneously achieving their goals. SSJ is known and respected throughout California as the standard-bearer in obtaining and retaining alcohol licenses for all types of business. We understand that your ABC license is more than just a sheet of paper; it represents your livelihood and can mean ensuring the jobs for your employees. LA California ABC Attorney, Alcohol beverage control. For over four decades, SSJ has fought for its clients before Administrative Law Judges, the ABC Appeals Board, the Court of Appeal and even the California Supreme Court. We obtained a unanimous decision by the California Supreme Court that the ABC violated the rights of our clients. This led to the dismissal of approximately 125 cases against our clients. We know that the process of obtaining, modifying and protecting your license and permit is not always set-up in your favor and that in order to prevail one needs to be tough, intelligent and creative. 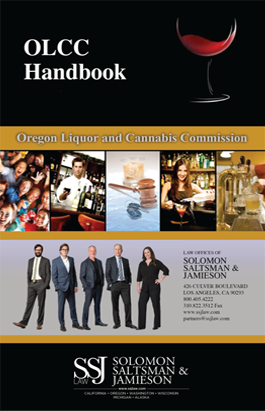 Solomon, Saltsman, and Jamieson have written the Handbooks for businesses that sell alcoholic beverages in California and Oregon. These Handbooks provide a clear and comprehensive summary of California and Oregon’s alcohol laws and an overview of the disciplinary process. 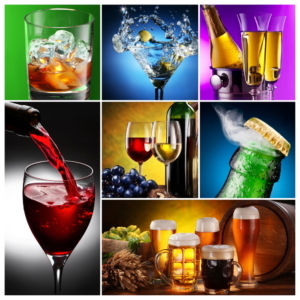 Our team of Alcoholic Beverage Lawyers at SSJ Law can help.